Description: Salomon Speedcross 4 Trail-Running Shoe is for rugged terrain with Contragrip WT (wet traction) for muddy, slushy or snowy terrain. Also, the water resistant and nylon uppers keep feet dry and is breathable, which is considering the terrain the shoe is built for. Plus, the shoe features my favorite, the Sensifit design and Quicklace system for a secure fit. 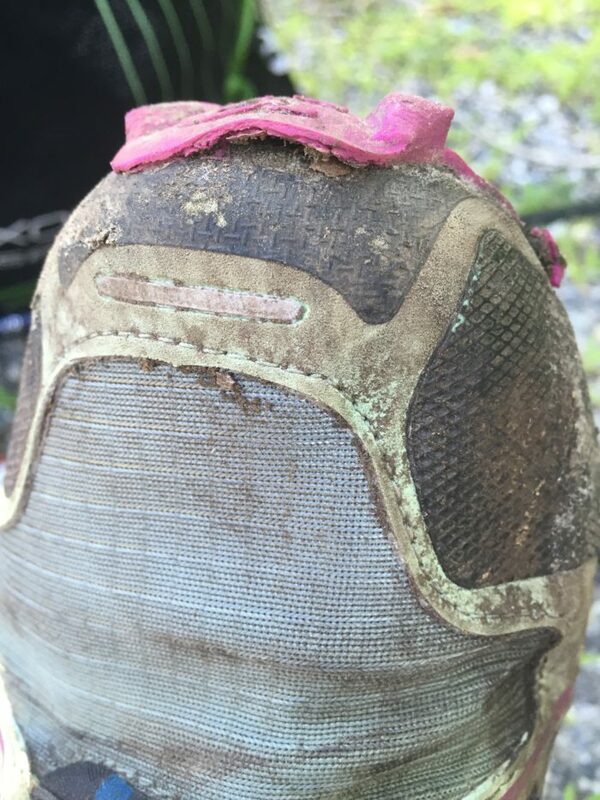 Circumstances of Review: After hearing the rumors about Vermont also fondly known as Vermud, I purchased the Salomon Speedcross 4 Trail-Running Shoes for the muddy terrain. These shoes held up less than a week. I was disappointed to say the least but thankfully REI has a 100% Satisfaction Guarantee customer service/return policy. The shoes were not damaged the grip simply fell off within 6 days. Lacing System: The single pull, quick-lace system on the Salomon Speedcross 4 Trail-Running Shoes is like the adult’s version of velcro sneaks. I love not having to stop and tie my shoes or trip over my laces while hiking. The single pull system can be tucked into the tongue so you don’t accidentally trip over it. 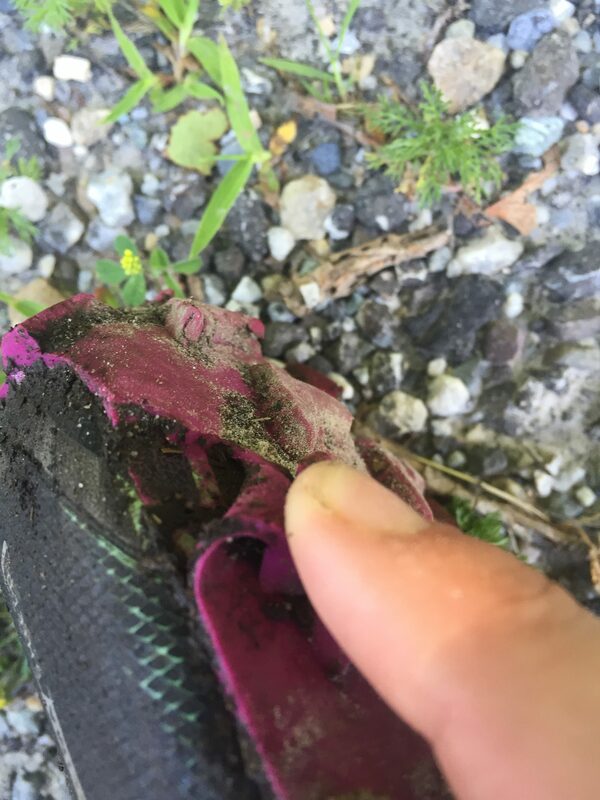 I was able to tighten the Salomon Speedcross 4 Trail-Running Shoes to my desired fit and would only have to readjust once or twice. In my opinion, the quick lace system is so much better than tying your shoe every few hours. Cushion: I have plantar fasciitis and do look for cushioning in my trail-runners. There is a decent amount of cushioning and the heel to toe drop is 11mm. I did notice the cushioning felt more significant than the Salomon X-Mission Trail-Running Shoe. 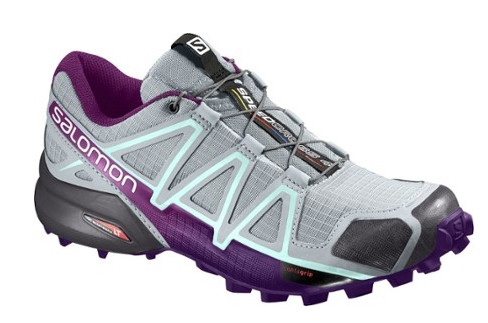 However, that being said, I like the structure and support of the Salomon X-Mission Trail-Running Shoe better than the Salomon Speedcross 4 Trail-Running Shoes for hiking the Appalachian Trail. The Salomon Speedcross 4 Trail-Running Shoes features a water-resistant, anti-debris nylon mesh uppers that keep your feet dry. This was huge for Vermont and the muddy terrain. Rather than have my feet caked in mud, they surprisingly stayed dry. Plus, because they are water-resistant and not water-proof they are breathable. So not only did they keep my feet dry from water and mud but also didn’t leave my feet a sweaty mess. As you can see here, the fabric keeps dirt and mud out. Additionally, the area around the toe box is for added protection from debris and slushy/muddy terrains. Durability: As I said before, these shoes lasted 6 days. My mom slack packed us for a part of Vermont so I was really trail-running on these only to find out they’d last for less than 6 days and 200 miles. For $130, I was really disappointed and the fact the nearest REI was over 3 hours away so a return was not possible. In this situation, document the product damage and make sure the photos are time stamped. REI accepts returns up to a year so make sure you have evidence of your complaint if you can’t get to an REI or ship your product right away. I thought I would love the grip. I was sold on the idea of the Contragrip WT (wet traction) and design of the grip. However, I hated it. I drafted an email to customer service that I had to delete because I was so livid about how the grip failed on the terrain I thought it’d be great for-mud, stream-crossings, etc. Yes, I am a little dramatic at times. However, the grip really isn’t great for the Vermont or the Appalachian Trail. Narrow: Sometimes I felt like my feet were stuffed sausages inside the Salomon Speedcross 4 Trail-Running Shoes. I found this particular style ran more narrower than other Salmon styles. This coupled with the addition of my prescription orthotics made for this less than ideal situation of my shoes looking like they were about to explode. Realistically, I have wide feet and should have gone with the men’s version. 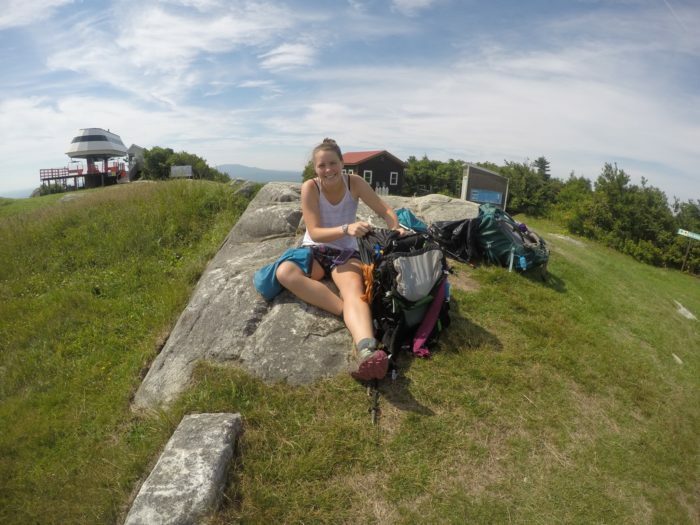 Overall, I wouldn’t recommend these trail-runners for an Appalachian Trail Thru-Hike. There are hikers who certainly disagree with this opinion. Yet, having tried 5 different styles of Salomon kicks, the Salomon Speedcross 4 Trail-Running Shoes were my least favorite. 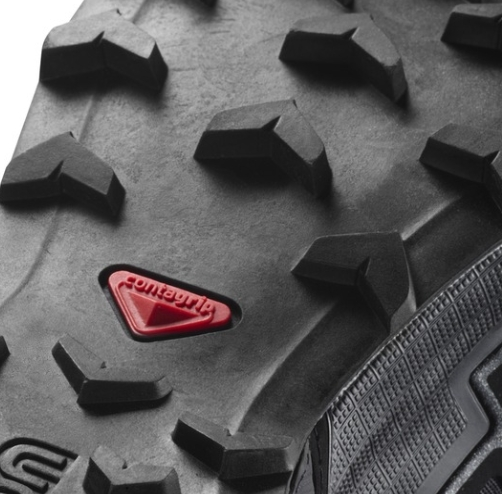 If you’re on muddy or snowy terrain, these shoes claim to be able to tackle it all. Although that wasn’t my personal experience, others have really enjoyed this shoe as a trial-runner. I would try these out again if someone gave them to me for free. Until that happens I’ll stick with other styles of Salomon Trail-Runners. For really muddy trails, lots of people swear by the Speedcross.